The new Calliope Games Newsletter of Awesomeness is out! The new Calliope Games Newsletter of Awesomeness is out! Casual Game Revolution “Recommends” that you read it by clicking the link below! This entry was posted in All About Games, Ancestree, Awards, Capital City, Conventions, Dicey Peaks, Roll for it!, ShutterBug, Thieves!, Tsuro, Tsuro of the Seas on 2017/11/09 by Chris Leder. Major Fun reviews Double Double Dominoes! And he loves it! Check out his review here. This entry was posted in Awards, Double Double Dominoes, Reviews and tagged board game reviews, double double dominoes, major fun! on 2012/05/29 by Ray Wehrs. 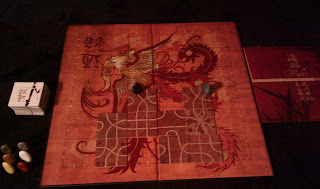 This entry was posted in Awards, Reviews, Tsuro and tagged board game reviews, inRandom, tsuro on 2011/11/15 by Ray Wehrs. This entry was posted in Awards, Reviews, Tsuro and tagged board game reviews, major fun!, tsuro on 2011/08/24 by Ray Wehrs.